Whole Foods has been fueling my kitchen creativity lately (hot pink apples, French bleu cheese) and my trip there on Sunday morning did not disappoint. 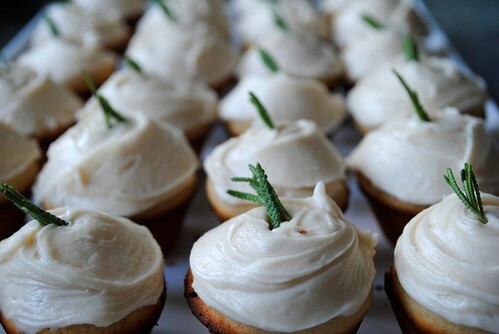 I came home with fresh lavender, did some research on lavender baking (as to make sure I didn't end up with something that tasted like bath salts) and decided to make lavender cupcakes. 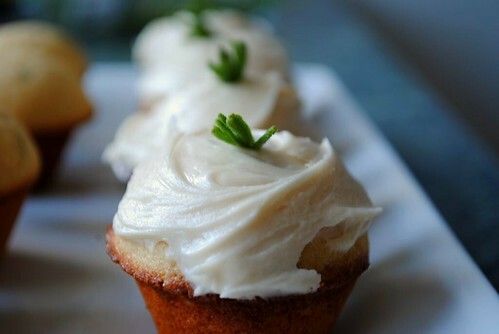 I adapted this recipe by using brown sugar in place of white sugar, almond milk and half & half in place of milk, and a basic lemon buttercream icing instead of the lime glaze. 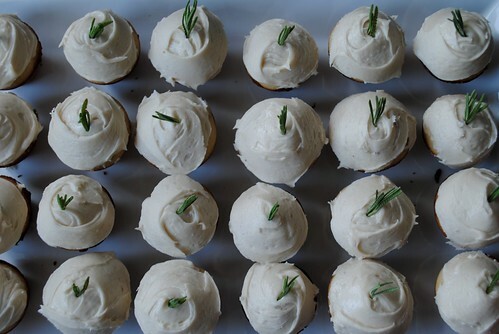 I was thrilled with the results; lavender cupcakes are light and refreshing, without being boring. The lemon icing was a good match for the lavender, although I've decided I want to make a dark chocolate icing next time (I can't help it, it's just who I am).